There are hundreds of stories about Las Vegas, so many that you’d expect every novel to be about gambling, showgirls, and people trying to cheat the house. There are loads of books like that, but those aren’t the ones that interest me. I make it a habit to read a lot of books about Sin City, but I put down the ones that have those central, all-too-common themes. Instead, I opt for books that take the reader into a world that you normally wouldn’t expect and drop you into circumstances that you wouldn’t even dream of. These are three of my favorite Las Vegas books. I highly recommend them. You might have seen the movie starring Nicholas Cage. I actually made the mistake of thinking it was the sequel to Honeymoon in Vegas, the hit motion picture starring Cage and Sarah Jessica Parker. It is not. It is the polar opposite. And it’s based on this book about alcohol, obsession, and suicide. Not exactly light reading, this Las Vegas-themed book will depress you and make you look beyond the glitz and glamour of Las Vegas Boulevard. It’s sobering, amazing, and mesmerizing. Give it a chance. 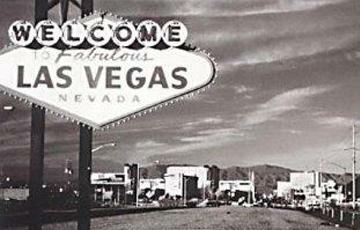 If you thought the JFK assassination is a world away from Sin City, think again. Or at least read The Cold Six Thousand, a roller-coaster ride of a novel that takes you from that fateful day in Dallas to Las Vegas to everywhere else in America, mixing in fictional characters with real life historical figures like Jack Ruby, J. Edgar Hoover, and Bayard Rustin. This isn’t the beloved ’60s Las Vegas you think you know and love. It’s something more seedy and sinister. And it’ll have you rethinking the true meaning of Sin City. It’s easy to think of Las Vegas as a perfect tourist town where you fly in, enjoy a bit of debauchery, and fly home as if the weekend never happened. And that oasis in the dessert is such an allure and an anomaly that it’s easy to forget that people actually call Las Vegas home. Beautiful Children takes us inside Las Vegas right at the moment that a mystery is unfolding. Newell Ewing has gone out with a friend but he hasn’t returned home. Naturally, his parents are beyond distraught, trying to piece together what happened and find their boy. Throughout their journey, we meet a bunch of strangers including a teenage Wiccan anarchist, a bunch of runaways, a comic book illustrator in town for the weekend, and a stripper who seems to recount instances in her life as though they were scenes from a movie. It’ll leave you on the edge of your seat in ways that any game of Blackjack couldn’t.